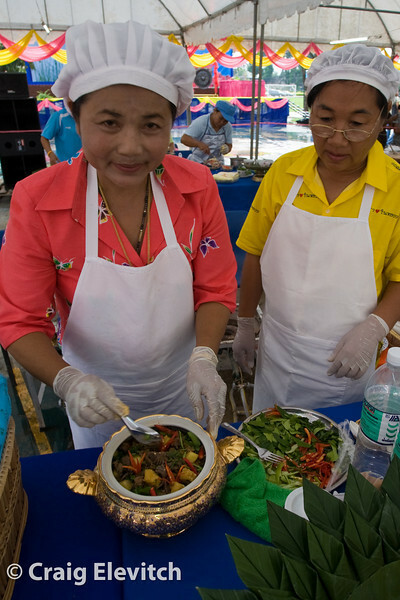 This annual celebration of tropical fruits grown in Chanthaburi Province, Thailand, took place May 3 - 11, 2008. For more information about the annual fruit festivals in eastern Thailand, visit Shunyam Nirav's Durian Palace. Please send inquiries to craig@agroforestry.net. The durian cooking contest features main dishes and deserts with durian as the primary ingredient.